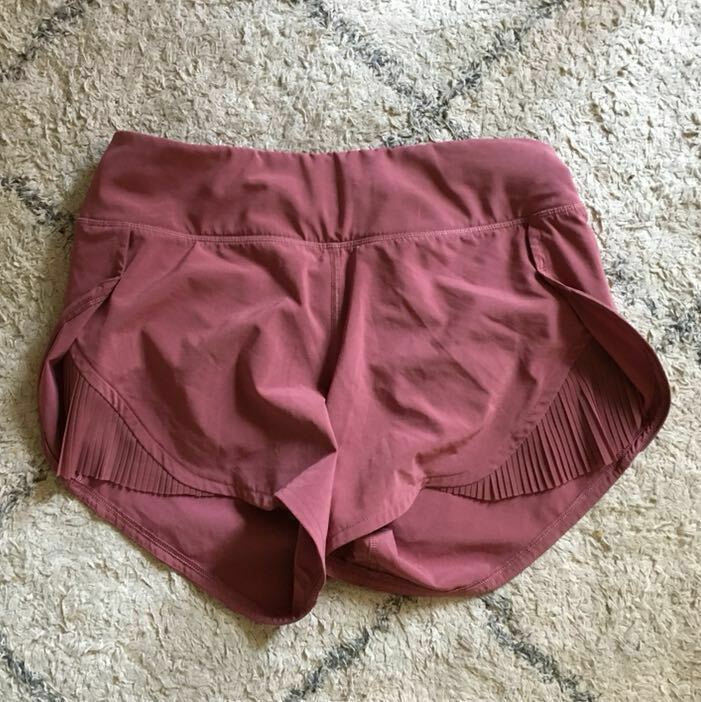 Dark pink Lululemon Shorts, with pleats on the side. Perfect condition. Only worn once, briefly. Too small for me..